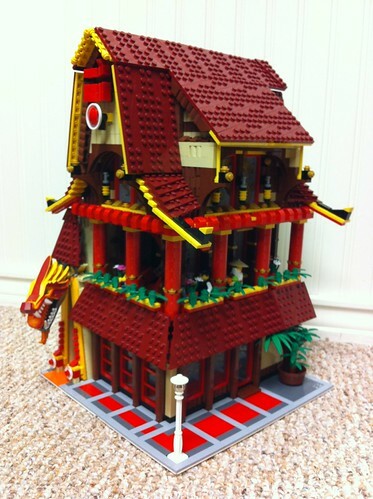 Brick Town Talk: Pieces of Pisces - LEGO Town, Architecture, Building Tips, Inspiration Ideas, and more! Little Tokyo - (BTT) Looking every bit the part, this new sushi restaurant has become the most exclusive nibbles in town. Easily recognizable by the dragon above the door and distinctive dark red roof, those hungry for the taste of raw flesh better book early if they hope to get a seat. Save your money on the sake and indulge on the omakase - a little mystery in life never hurt anyone.